The OTHERS Project is presented in cabaret style with breaks between each performance to mingle, refill your drink and meet the artists. All seating is general admission, first come first serve. Standing room available. On The Street is an exploration of what it means to be homeless in New York City. The piece was created using only actual dialogue spoken by the homeless that was recorded in conversations this summer. Special thanks to Michael Bultman. Jonathan Hooks trained at the University of Oklahoma School of Drama. Theatre includes: Old Vic New Voices Exchange Showcase (Old Vic, London, England), Torch-Bearers (Williamstown). Film includes: Where Truth Lies, Post. Ashley Brooke Monroe’s recent directing credits include Dirtballs in Her Pocket (or Dressed to the Nines) with THEATER IN ASYLUM, A Portrait of the Artist as a Huge D-bag, Cary’s Chainstore Massacre, Eleven Days, and After Ashley. She is the resident director of Special Sauce Co where she has helmed Top Hat, And Now We Know, and Oh Baby. Curry Whitmire recently received a BFA in Drama from the University of Oklahoma. Oklahoma City theatre credits: Henry IV Part I, Bremen Town Musi- cians (Sooner Summer Stock), A Christmas Carol (Oklahoma Shakespeare in the Park). New York theatre credits: The Drunken City and The Last Days of Judas Iscariot (Sanguine Productions). Currently a company member of Sanguine Pro- ductions NYC and The Line Up Improvisational Comedy OKC. Natalie Woolams-Torres is a native New Yorker who studied drama at SUNY- Purchase. She is an original member of the best little theatre company in New York—Special Sauce Co—where she’s been featured in new works by countless emerging playwrights. Her secret talent is rapping and you should Youtube ‘Harry Potter Monster’ to learn more. Laura Aristovulos is very excited to be performing in her first THEATER IN ASY- LUM production! Laura is a recent graduate from American University where she received her degree in Theatre. Some of her school credits include Olga (Three Sisters), Raja (I Never Saw Another Butterfly), Nadine (The Wild Party) and Mari- anne (Tartuffe). Laura is a born and raised New Yorker and is thrilled to be back in the City pursuing a career in the arts. Arielle Hader is thrilled to yet again be part of THEATER IN ASYLUM’s brainchild! She holds a BFA in Theatre in NYU Tisch. Recent projects include: “Fire Thief” (Looking Glass Theatre) and “Hookups” (DC Capital Fringe Festival). She can also be seen on the TRU TV pilot, “Grime Fighters,” and starring in the upcoming independent feature film “Aboard The Carousel.” Special thanks to Paul and Katie. Jake Lasser is about to finish up his undergraduate studies at Columbia University this fall. He is thrilled to be working with Theatre in Asylum on this adaptation of one of his long-time favorite novels, and wishes to thank each appendage of this vibrant company for their amazing collaboration. Moreover, he thanks you, the audience, for being here to watch the lightning strike this strange creature to life. Rebekah Levin hails from Mill Valley, California. She has a BFA in acting from NYU Tisch and trained at Stella Adler Studio of Acting and Stonestreet Studio of Film and Television. She is a classically trained actress with an eye for comedy. Rebekah is skilled in tap dance, hip hop and several other dance styles. You may have recently seen her starring as Isabella “Measure for Measure” with the Oxford Shakespeare company, as a hip hop dancing Peasblossom in Wide Eyed Productions’ “A Midsummer Nights Dream” or in Radiotheatre’s production of “Frankenstein” as Henrietta. Rebekah is thrilled to get back into dance and begin her work with THEATER IN ASYLUM. Ben Otto is a New York based Actor who has worked in many capacities in the industry since his graduation from Fordham University. Ben has worked at The Public Theater, The Flea Theater and St. Ann’s Warehouse. Ben would like to thank his family and those around him for all of the support they give. He cur- rently lives in East Harlem with his cosmic friends. Russell Peck is thrilled to be back with THEATER IN ASYLUM, after performing this past spring in The DEATH/MEMORY Project. He recently graduated from NYU Tisch School of the Arts where he studied at the Experimental Theatre Wing and ITW Amsterdam. Past credits include Sutton Foster’s Crazy for Gershwin, Desire (Blanche), Trojan Women (Talthybios), Company (April), and Two Gentle- men of Verona. Endless love to the best family and friends a tran could ask for. Ramsey Scott (Costume Designer) is a freelance designer for theater, dance, and film. His costumes will be featured in “Home,” part of the Dream Up Festival, August 19-28 at Theater for the New City, and “Prison Light,” October 20-30 at HERE Arts Center. B.A., Visual Arts, Columbia University. Sarah Skeist - Theater: Piper (Secret Theatre), Paradise Street (World Premiere by Connie Congdon), Mistakes Madeline Made(Kirby Theater), Tartuffe (Kirby Theater). She has worked with Landline TV on two webisodes: Bieber Fever, andMSN Celebrity Encounters. Film credits include Fifi Patelito Goes to the DMV (dir Salvadore Bolivar), No Swimming (dir Lana Wilson). BA in Theater & Dance from Amherst College. Katie-Rose Spence, Originally from Perth, Australia, graduated from the Ameri- can Academy of Dramatic Arts 2010/2011 Company. Her most recent credits include a staged reading of “The Elephant” with the Fundamentalist theatre Company, playing Alfred and Horatio in “Rosencrantz and Guildenstern are Dead” with the Big Rodent Theatre Company, Performing fortnightly with Say What NYC comedy Improv, and being an Elderheart Compassionate Clown. She is also rehearsing for the upcoming new play “Luminescent Blues”. She has absolutely loved working with the Theater in Asylum group! Marchelle Thurman hails from Chicago and graduated from NYU Tisch School of the Arts with a BFA in Theatre. Some of her favorite New York credits include Kori in Like Us, Mary in The Confession and Melissa in Clean Energy, Clean Con- science. She would like to thank her beautiful friends and family for their constant love and support. at NYU Tisch. Recent projects include: The Ape and the Child at the Wings The- ater, Bomb Shelter at the Gene Frankel, and Ach Du Lieber Himmel at THEATER IN ASYLUM’s The DEATH/MEMORY Project. Eric is currently staff director for the Aquila Theatre’s fall tour. Marian and Elizabeth are his two favorite winos. Marian Pinchoff received her BFA from Tisch, completing the three-year program at the Atlantic Theater School. She is a founding member of Pipeline Theatre Com- pany. She is addicted to the Upright Citizens Brigade and performs with her improv team Nitro Truck Thunder. Working with Eric and Elizabeth on this piece has been magical! Randall Benichak - In a world where film music has no themes and Hans Zimmer is king, one man stands alone. Armed only with a pencil and imagination, Randall Benichak must save the world from the impending onslaught of expressionless sound and bleak orchestration. From the studios that created music for NIJINSKY IN ASYLUM comes an original score so compelling, villagers and monsters alike will shriek... with delight. Coming to a theater near you in November. Emily Olson received her BA in Theatre Arts from Loyola Marymount University in Los Angeles. Her most recent credits include: Summit Avenue (NYC Figment Fes- tival), Together This Time: A New Rock Musical (NYC Fringe Festival), The Realm (Down Payment Productions), Assassins (Still Hungry Theatre), You’re A Good Man Charlie Brown (Sony Art Attack Foundation), Parade (Neighborhood Playhouse-LA Premiere), and Bedroom Farce (Long Beach Playhouse). 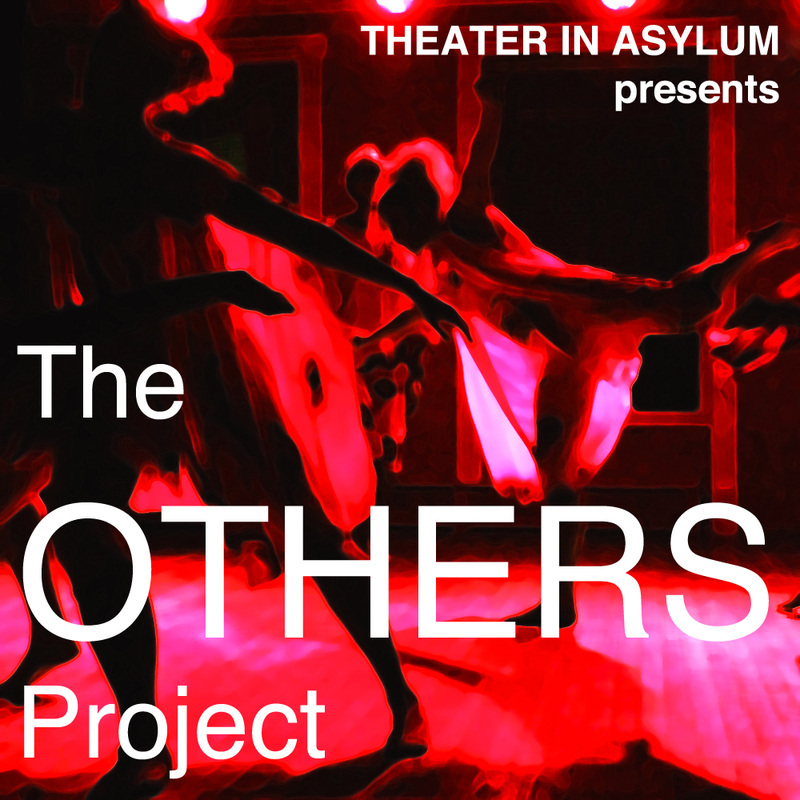 She’s thrilled to be taking part in “The Others Project” and working with THEATER IN ASYLUM for the first time! THEATER IN ASYLUM would like to extend send our deepest gratitude to our community of artists, audiences, family and friends who continue to encourage all of our endeavors throughout the year. And YOU! our audience, in whom we hope to ignite curiosity and love. Always with love to our families. Thank you to The Happiest Medium for mentioning us in their blog!